[17% OFF] 2019 Lemon Striped Bandeau Bikini Set In LIGHT PINK | ZAFUL ..
Hola, i'm 5ft3 and weigh 110lbs. I ordered the small one and it fits perfectly. Good material and quality. I love it!!! Love the summery feel to this bikini. Ordered in a size M and I and UK size 8 and 32D breasts. If you are smaller chested I would recommend a small as without the strap the top is obviously a lot looser and less supported. 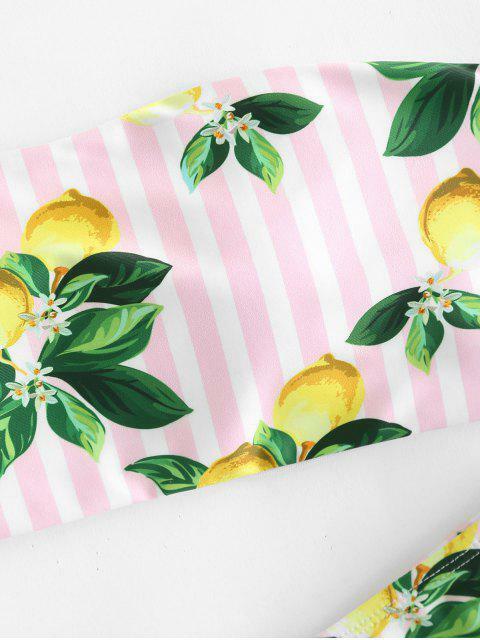 Complete with playful lemon and stripe graphics, the bandeau top has removable paddings, detachable halter design for double-way dressing up, and the pairing bottoms are a simply classic silhouette.